premium products for the Indonesian market through the #CitizensofTMRW event that runs from 14 to 17 September 2017 at the main atrium of Central Park, Jakarta. In this event, Lenovo also presents an interactive pop up store and various other interesting activities. "CitizensOfTMRW means innovating for future needs, looking for inspiration from today's customers. 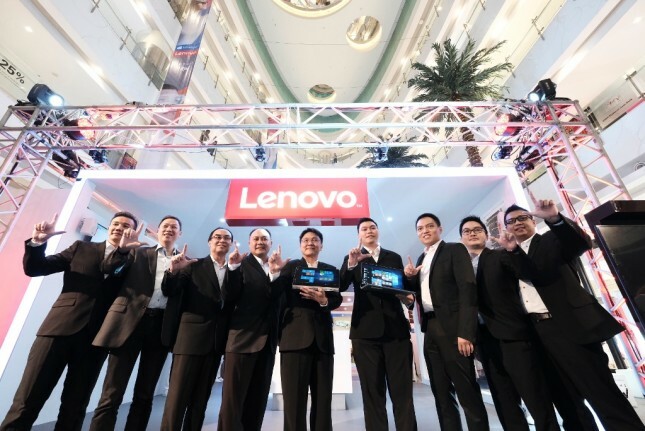 This spirit is always implemented by Lenovo, which is listening to input and inspiration from our consumers to produce technology that can meet customer needs, "said Country Manager of Lenovo Indonesia Germer, Budi Janto in Jakarta, Thursday (14/09/2017). He added that at this event, we (Lenovo) introduced a range of premium products in 4 consumer characteristics namely, ENTREPRENEURS of TMRW, STUDENTS of TMRW, GAMERS of TMRW, and DESIGNERS of TMRW. According to data from the Central Bureau of Statistics, the number of entrepreneurs or existing entrepreneurs in Indonesia is currently up 3.1 percent and the trend shows this number will increase. In addition, the government is also diligent to promote the National Entrepreneurship Movement that supports the entrepreneurial spirit among young Indonesians. products that can be relied upon by entrepreneurs as they are supported by features that suit the needs of high-mobility entrepreneurs, among others, Lenovo Yoga 920, Lenovo Yoga 720, ThinkPad X1 Yoga, and Lenovo Yoga 520, Lenovo IdeaPad 720S and Legion Y520. to win the Lenovo Yoga Book, "he concluded.